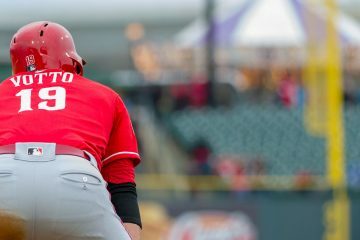 Yesterday saw the Cincinnati Reds fall to the Milwaukee Brewers in spring training action, 6-4. 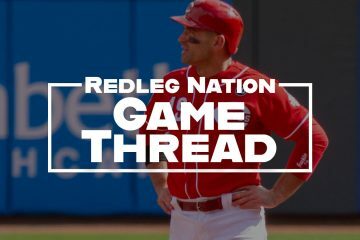 That wasn’t the story, though – Scooter Gennett leaving the game with a groin injury was. They’ll get back on the field today to take on the Cleveland Indians, with hopefully a better result, at 4;05pm ET. Also scheduled to pitch for the Cincinnati Reds today: Matt Bowman, Michael Lorenzen, and Wandy Peralta. The game will be live on Reds.com for audio. The game will not be available on the radio. You can also watch the game live on Fox Sports Ohio and MLB.tv. Looks like we’re facing the Indian’s opening day lineup. After the turmoil of yeterday’s final roster decisions, Scooter’s groin injury during the game and the announced roster decisions to counter Scooter’s recovery and rehab, two key members involved in the turmoil decided to make statement out of the chute. Winker and Iglesias go yard in the 1st inning. TYVM Old-school and spot on. Use the opportunity to evaluate when to take those smart chances and when to utilize smart caution during game conditions. Exactly, the only way to find out your limitations is to go beyond the bounds. With respect, these players are not 12 years old, they should already know their limitations. Jesse Winker haters… Please comment….. Spring training stat guys…. Please comment. Phil Ervin guys…. Please comment. Trevor bauer isn’t that AA guy in the 7 th inning. Your all fired up today! i guess your ready for the season to start. Jesse Winker 2-3 today w/ 2-HR, 1-BB & 1-HBP. His hardest hit ball on the day was an absolute missile shot that nearly undressed the 2B, who recovered to throw Winker out at 1B. Winker even got a couple innings defensively in CF today. Jose Iglesias chipped in at the plate today going 2-4 w/ 2-HR. Iglesias’ were bombs against Bauer. Jose Iglesias is a joy to watch fielding. Not since Davey and Barry have I seen a Red’s SS display this type of glove work and arm. With time running out, bowman may have punched his ticket to AAA today, giving up a big HR in his 1 inning of work, but Peralta threw 0’s again in his 1 inning of work. Wisler’s 3 hits and a HR yesterday in 1.2 IP , despite his 4 SO, may have thrown a wrench into his chances of making the opening day roster too. Not concerned about Bowman given the medical issues he’s recovering from. Perhaps 20-30 ip in Louisville is a good plan for him in any event. What to do with Wisler/Sims/BobSteve and Wandy are tougher issues. They’ve all proven that they’re on the cusp, and cannot seem to move beyond that. Hard for a contending team to justify a 25 man spot to determine if they can. The Scooter injury is a blessing in disguise in a sense. Defensively our infield instantly goes from below average to well above average. Plus I think this is really going to take some pressure off Peraza as he will now be playing his natural position. Finally you have an additional stolen base threat with Iglesias. Astute observation, so long as Peraza and Iglesias bat 7th/8th. Puig/Kemp/healthy Winker should prove more than a replacement in the order for Scooter. Still, they should let Scooter fully recover, even if it means DL until the All-Star break. Scooter’s injury may have several implications. 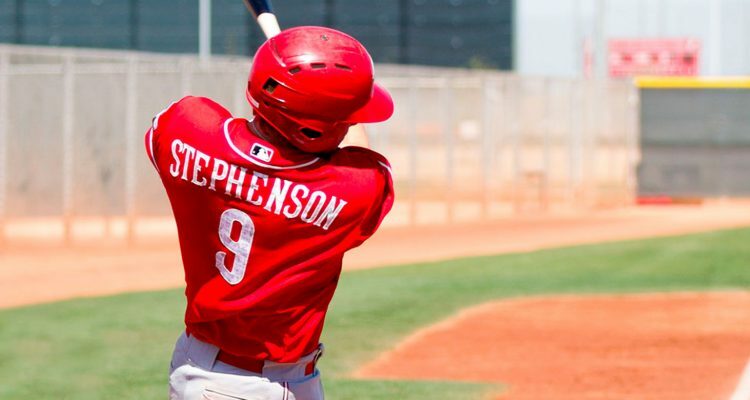 Since Reds have not offered him a contract extension, not even has been discussed, I think it’s safe to say they were looking for the trade deadline to get something in return. As he’s expected to return in early June that plan has vanished. Time will tell. I liked Hamilton myself and I like Winker but your post answers itself. Both players have really good skills and very evident flaws. So the choice is loose 3-2 or 8-9 to some extent. I think a little more balance in skills is easier for a section of fan base to accept. With our struggles with pitching their flaws are magnified. We need one’s defense and the other’s bat. People disagree on which is most valuable thus which player they favor. True enough, but I suspect it will be much easier to manage 500+ productive PAs out of Winker than BHam. Especially considering the huge difference in BBs between the two.